May your path be sprinkled with four-leaf clovers. And may luck be your constant companion. 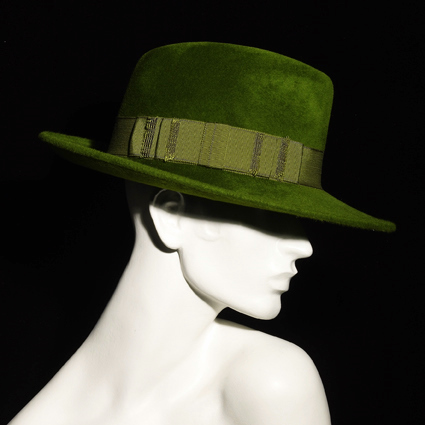 This dashing green trilby wouldn’t hurt, either, designed by London-based, Irish milliner, Philip Treacy. Luck of the Irish: a green trilby by Mr. Treacy. Next Post Déjà Vu: Double G or Double M?